In October of 1997, 6 months after his father Randy died suddenly, Josh was diagnosed with a rare and fatal form of brain cancer called PNET at the age of 10. Josh had too many tumors to count and was given a less than 15% prognosis (expected chance to live). It was during this treatment that he had the privilege of meeting and getting to know Morgan Adams and her family. Thanks to the advanced research and clinical studies that were taking place at Children’s Hospital Colorado at the time, Josh was able to beat his prognosis. Today, Josh is a Police Officer for the city of Greeley, Colorado where he resides with his wife Bryndi. Josh graduated from the University of Northern Colorado in 2009 with a BS in Dietetics. 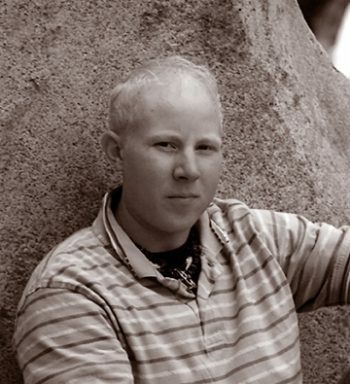 During his spare time, Josh enjoys woodworking, hiking, skiing, traveling, and shooting guns.